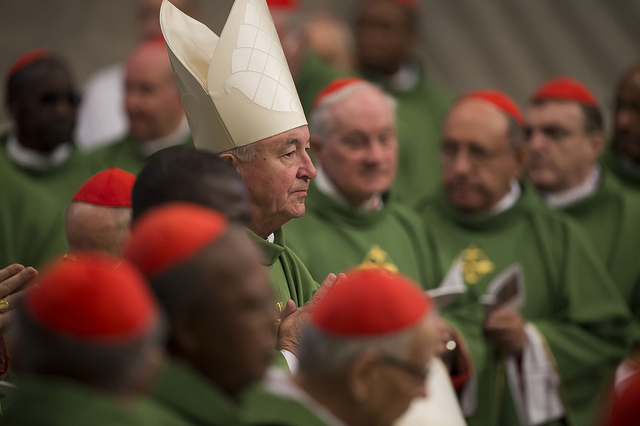 Along with many Episcopal colleagues, priests and friends of Archbishop Vincent Nichols I travelled to Rome last weekend to be present at the Consistory at which Archbishop Vincent was one of nineteen new Cardinals from around the world created by Pope Francis. 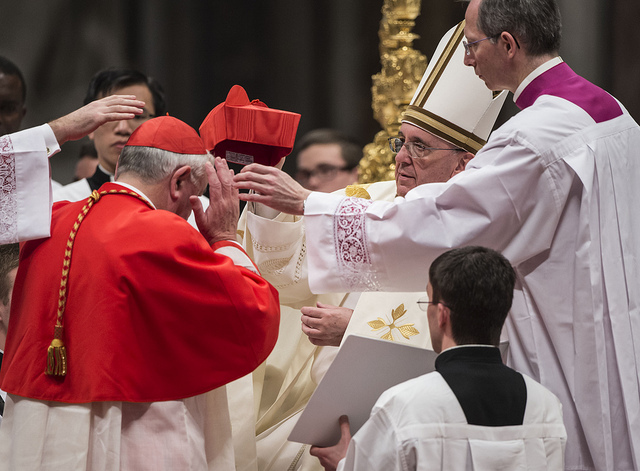 The simple but moving ceremony took place in a packed St. Peter’s Basilica on Saturday morning, during which the Pope placed the famous red hat or biretta on each candidate as well as presenting them with the Cardinal’s ring. In the course of his homily the Holy Father stressed the special bond of loyalty which exists between him and the cardinals, his closest collaborators. 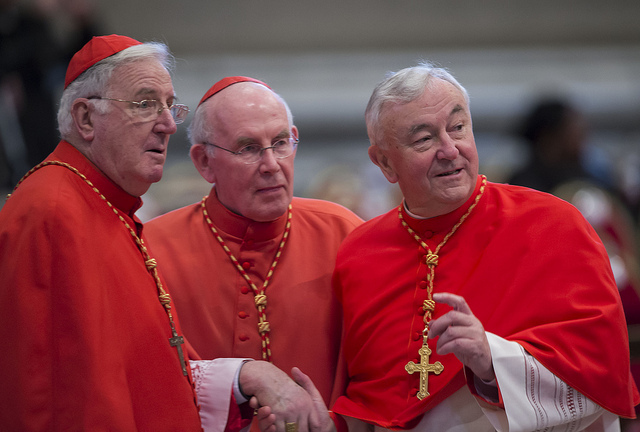 The colour red worn by cardinals, an obvious symbol of blood, is intended to underline their fidelity to the faith and union with the successor of Peter, even to the extent of laying down their life. 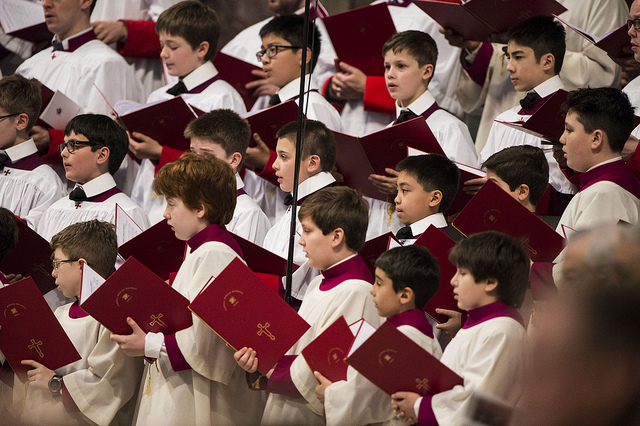 On the following morning, Sunday, the newly-created Cardinals, together with the whole College of Cardinals, concelebrated Mass with the Holy Father in the presence of so many bishops, priests, deacons, seminarians, religious and lay faithful. 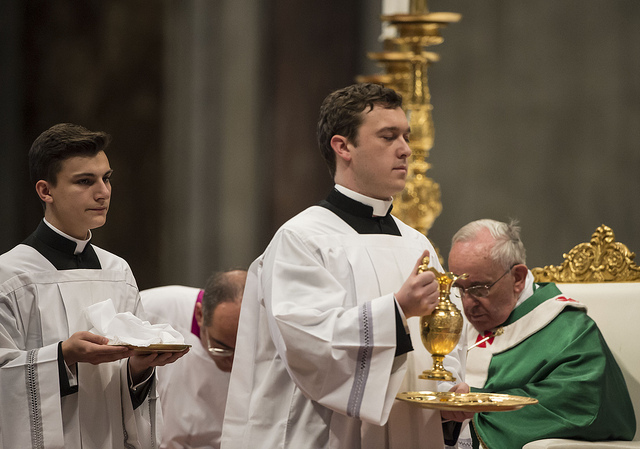 This Mass was served by 15 seminarians from the Venerable English College and the boys from the Westminster Cathedral choir sang in fine voice alongside the Sistine Chapel Choir. 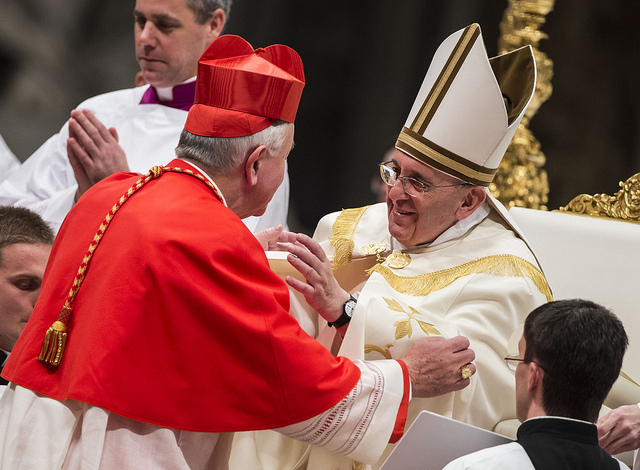 In a quiet tone of voice Pope Francis again underlined, in his homily, the link between himself and the new Cardinals, and that their new dignity was one of service with him in the governance of the whole Church. 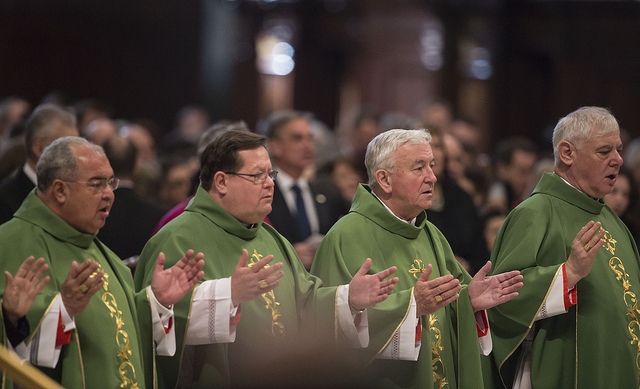 Looking around at the bishops and cardinals assembled in St. Peter’s on both mornings, I could not but be struck at the increasingly universal nature of the Catholic Church. 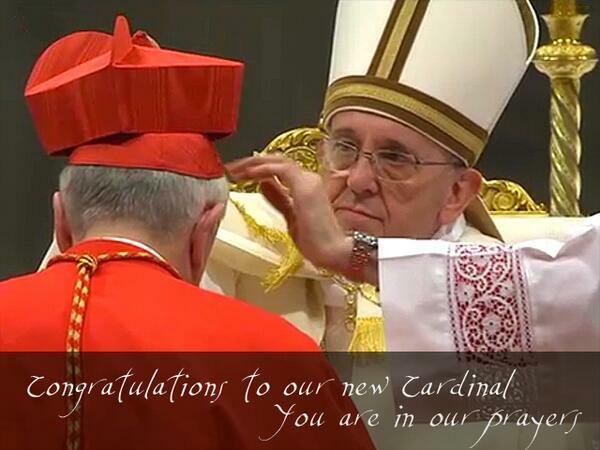 Among others, South America, Africa, the Philippines, Haiti, for example, all rejoiced to have a new Cardinal in their midst. 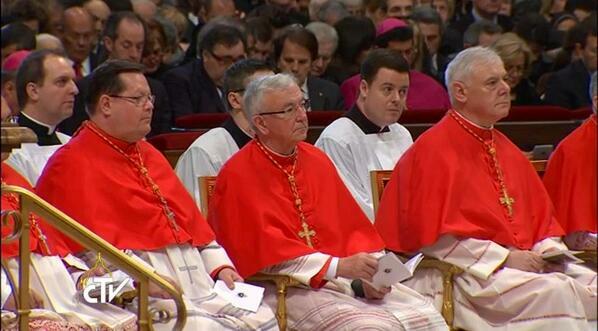 Our new Cardinal, Vincent Nichols, takes his place with the previous Archbishops of Westminster as a Cardinal. It was also noted that not since the nineteenth century has England had two living Cardinals. 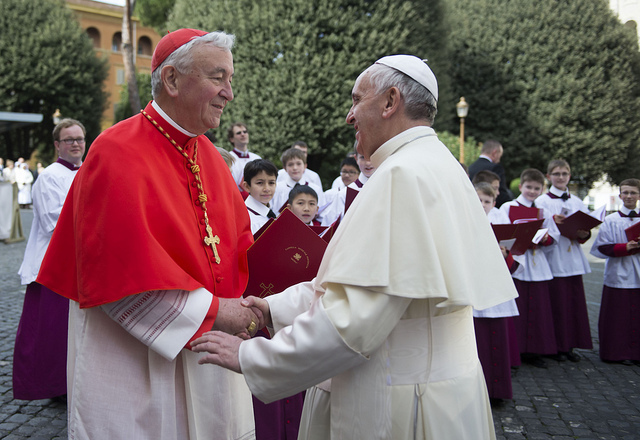 Cardinal Murphy-O’Connor is still happily with us, while Cardinals Manning and Blessed John Cardinal Henry Newman also shared the dignity of Cardinal at the same time. The British government was represented at the consistory by Lord Patten and Baroness Stowell, and the Ambassador to the Holy See, Nigel Baker. A celebratory lunch at the Venerable English College rounded off what was a historical occasion, not least for our new Cardinal, Vincent Nichols. 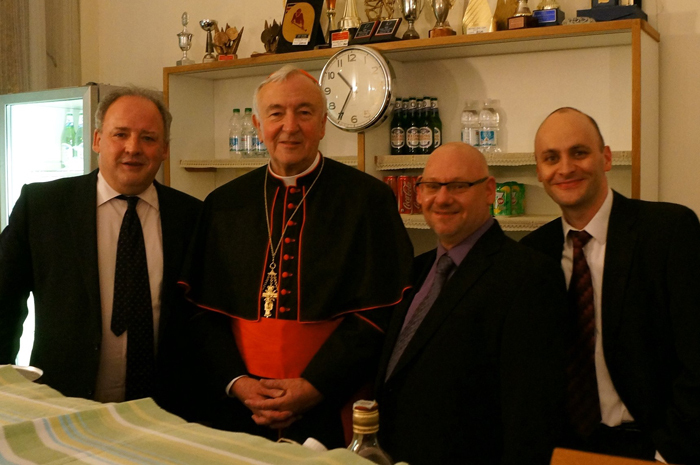 A fitting liturgical finale to the weekend was the concelebrated Mass on Monday evening with Cardinal Nichols in that truly inspiring basilica, which is St. Paul’s-outside-the-Walls and the site of the martyrdom of the great Apostle of the Gentiles. 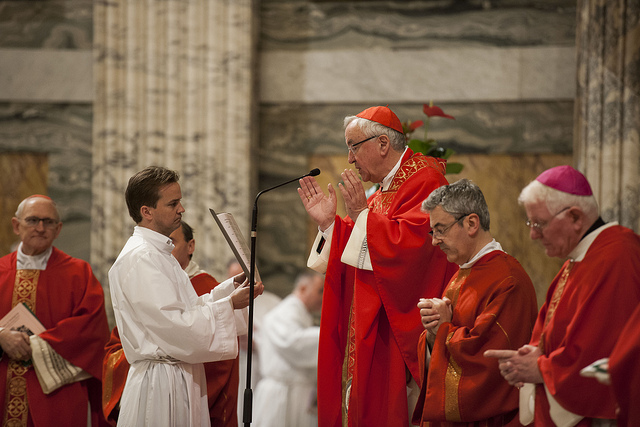 The Church in her prayer and liturgy has never separated the apostles, Peter and Paul, so it was highly appropriate that our new Cardinal, after the ceremonies in St. Peter’s, should also reverence the memory of this quite outstanding teacher of the faith. 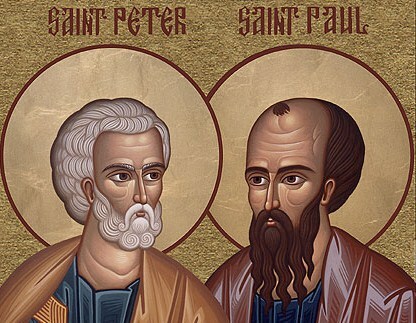 In his homily Cardinal Nichols observed what an inspiration to the Church St. Paul still remains to this day. As we embrace the new evangelisation, this outstanding apostle and martyr can help us to courageously and with conviction proclaim the faith afresh to the men and women of our time. 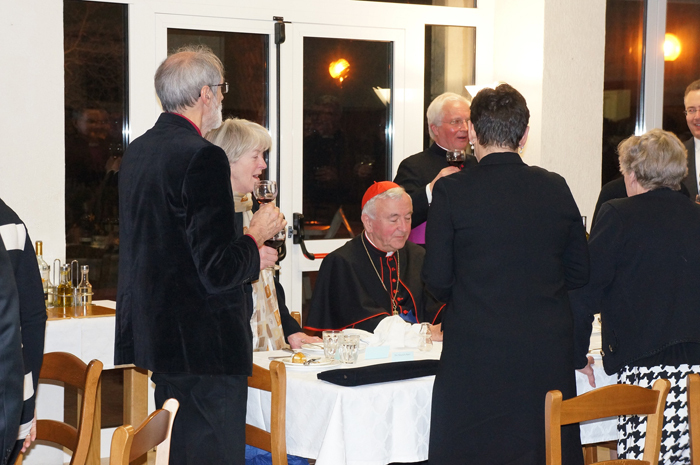 Afterwards, It was then the turn of the Beda College, the ‘late vocations’ seminary which is adjacent to the Basilica, to graciously welcome and entertain to dinner Cardinal Nichols and his guests. Those of us privileged to be in Rome for the consistory returned home with many memories and impressions, reinvigorated above all by a glimpse of the Church drawn from all nations. We certainly had our horizons enlarged!